Elevate your day look with this stunningly beautiful stitched PARTY WEAR dress. Subtle soft aqua color is the perfect choice to wear at daytime. 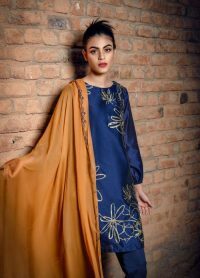 The shirt with upper chiffon dazzled with hand embroidery is stitched with china silk inner which makes you cozy and comfy while wearing this dress. 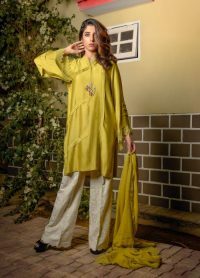 The beautifully designed shirt is paired with brochia dopatta and indian rawsilk bottom with a jamawar trim with awesome stitching pattern is the daring creation of our craftsmen. 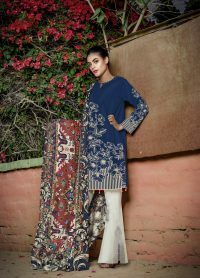 The generously cut on the upper shirt gives alluring and stylish look to this whole attire. You can enhance the looks for the dress by wearing flat sandals and sophisticated earrings. OH YOU LOOK FABULOUS. So don’t wait more and BUY NOW! 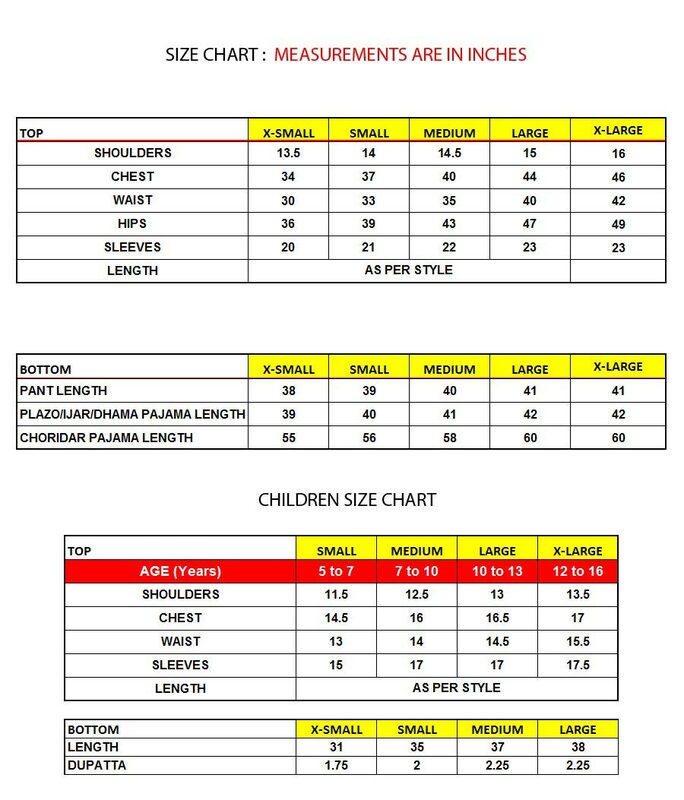 The dress is stitched with long sleeves, but we CATER to all whether half or sleeveless shirt.